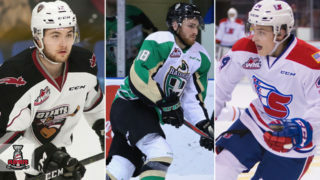 Late-game heroics from Dylan Cozens (Whitehorse, Yukon / Lethbridge Hurricanes) and Josh Williams (Langley, B.C. / Medicine Hat Tigers) propelled Canada into Saturday’s gold medal game at the 2018 Hlinka Gretzky Cup as the USA and the host nation added another chapter to their incredible hockey rivalry. 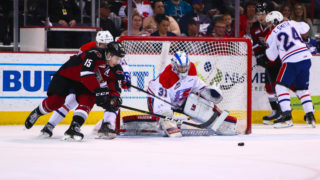 Cozens scored at 19:59 of the third period, cutting it as close as humanely possible to erase a 5-4 deficit and send the two teams into overtime. Then, just 104 seconds into the overtime period, Peyton Krebs (Okotoks, Alta. 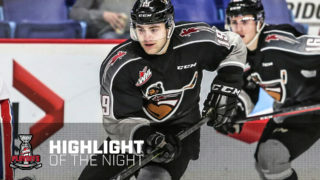 / Kootenay ICE) hooked up on a play with Williams that resulted in the game-winning goal after a see-saw battle for the entirety of the game. In a five-goal first period, the United States opened the scoring thanks to Nicholas Robertson. Canada would respond with goals from Alexis Lafrenière and Jamieson Rees while Aaron Huglen and Robertson’s second of the period kept the Americans ahead by a goal after 20 minutes. Canada would even up the game in the second though on a power play thanks to Xavier Parent, with Kirby Dach (Fort Saskatchewan, Alta. / Saskatoon Blades) earning a secondary assist on the goal to continue his impressive tournament. 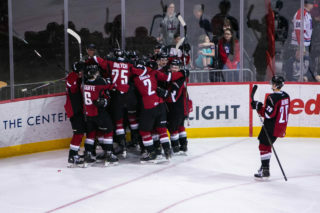 Williams’ first of the game came 3:31 into the third period as he gave Canada their first lead, but the Americans were quick to respond with a pair of goals, including the hat trick goal from Robertson and a goal from Luke Toporowski (Bettendorf, Iowa / Spokane Chiefs), making it 5-4 with just minutes to spare. Cozens came through in the clutch though, producing the game-tying goal that stood up after a conferencing of the game’s officials. Adding to the WHL flavour of the comeback, Bowen Byram (Cranbrook, B.C. 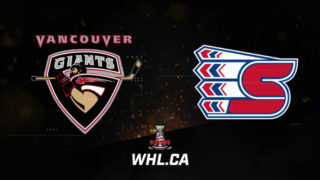 / Vancouver Giants) and Kaedan Korczak (Yorkton, Sask. / Kelowna Rockets) each tallied the assist on the goal late in regulation. It was an all-WHL battle between the pipes as Nolan Maier (Yorkton, Sask. / Saskatoon Blades) and Dustin Wolf (Tustin, Calif. / Everett Silvertips) showcased their best on an elite stage. Maier finished with the upper hand however, stopping 34 of 39 shots to 28 saves on 34 shots by Wolf. The Americans will battle Russia for the bronze tomorrow at 3:00 p.m. MT. Canada will now advance to the Gold medal game at the tournament, seeking a 22nd goal medal at the tournament. They’ll take on Sweden for the second time in the tournament Saturday, August 11 (7:00 p.m. MT) at Rogers Place in Edmonton, Alta.